Several blue boxes were donated by the residents of Winnipeg to the local food bank. The bank intends to use the boxes for delivering emergency hampers, storing food, and growing vegetables. Due to the change in the garbage management policy of the city, the blue boxes that were formally used for collecting recyclables became useless. In an effort to recycle the blue boxes and put them to good use, the residents were asked to donate them to the food bank. Donald Benham, the Director of Public Education at the Winnipeg Harvest food bank,, said the initiative was a great support to the organization. He stated that if not for the move, Winnipeg Harvest would have had to purchase containers; he added that the organization would make good use of the containers. The blue boxes donated by the residents were lighter than the containers generally used by the food bank; which makes it easier to be circulated for money collections at community events. Benham said that the money raised would be used for the new blue box gardening program. As part of the program, needy families were given the opportunity to grow vegetables and fruits in the blue boxes. It is estimated that there are about 500,000 blue boxes across the city with an average of two boxes per home. Benham said that the organization is indebted to the generosity of the residents. The organization has already received thousands of blue boxes. According to a report made recently by the Food Banks Canada, the province of Manitoba has the largest number of food banks. The banks are approached by several poor families who struggle to buy food. As the cost of living rises, it is a boon for these families to grow their own fruits and vegetables. The least that people can do to support the underprivileged families, is to contribute material that they would otherwise discard. 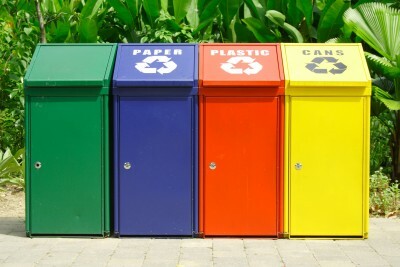 The blue box recycling move is as much a humanitarian cause as it is environment friendly. As the contribution came at a time when many poor families struggle for food, the food bank was happy to receive as much aid as possible. The boxes in their new form have been put to a various uses to aid people in need. The city has set an example by converting the boxes which may have been thrown in land fills, into useful eco friendly promotional items.